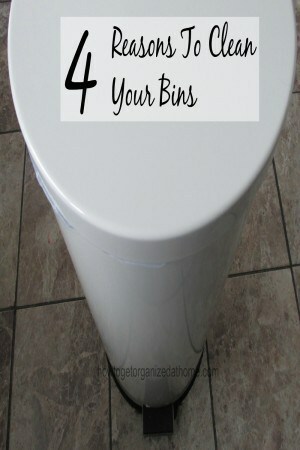 How often do you just empty your bins around your home and not give a second thought to the germs and the dangers that can hide in your bins? I am not perfect but I do have a thing for germs, they creep me out and I am on a constant battle to ensure that they don’t take up residence in my home and cause my family to become ill. I am paranoid also about vermin, I’m convinced one little crumb is going to attract them into my home and whilst I’m obsessed with germs and vermin, it is not something that you should completely dismiss as paranoia on my part. There is no way that anyone can deny that your bin is going to breed germs and bacteria. There are food particles, sometimes dampness and this is just the perfect breeding ground for germs including salmonella and E.coli. Therefore, it is important that you remove these contaminates out of your home on a regular basis, but more than that, it is important to keep the bin clean. If you use a bin bag then hopefully you are containing the germs, but this isn’t always possible; they do escape and you need to ensure that the cracks and crevices are kept clean. For washable bins, hot soapy water and a cleaning cloth are all you need to clean, but remember to dry it too. Insects get attracted to the rubbish that we throw away, they can bring with them germs and illnesses. I am paranoid about ants; when my son was younger, he put a yoghurt pot into a bin, which I didn’t know about. In the morning, I knew something was wrong, there was an ant procession going into the bin and then back out towards the wall and obviously to their home. I hadn’t lived in this house long and hadn’t realized they could actually get in. I spent the morning scrubbing, I even lifted the carpet and found their entrance and this got blocked. This episode assured me that rubbish will not stay inside my home over night. Rodents and rubbish do come hand in hand I am afraid and it is not something that is healthy for anyone concerned. They urinate all the time and this means they cover every surface they touch with their wee, this is not healthy for anyone. Take care when you throw out your rubbish that you are not creating a haven for rodents to feed. Rubbish needs keeping in bins that are safe from rodents. Many years ago I lived in a flat that had a communal place for the bins and because some of these flat owners didn’t seem to care they were not careful about how they placed their rubbish in this area. There were bins, yet it must have seemed like an impossible task to actually lift a lid and place the rubbish inside a bin. This means when they collect the rubbish some gets left because the bags are open and trash removed. This encouraged the vermin, so I cleaned it out and the vermin left, as they had nothing to eat. My point is that unless you take responsibility for your home and your rubbish no one else is either. Keep you bin clean and fresh because odours will build up in your bin, they will make your house smell unpleasant and sometimes because you live with the smell, you might not notice it. Keeping it clean will reduce the risk of a smell developing and making your home smell. Try using bicarbonate of soda to soak up any possibility of smells in your home. Therefore, I hope that I have convinced you to keep your bins clean and fresh and being responsible about your own rubbish, no one else is going to do it for you. Great article. I need to be more vigilant about cleaning my trash cans. Last week I had those annoying little flies, because I left the chicken bag in the trash for a few days, before taking it out. Yuck! When we move a couple of months ago the people who lived here before us left quite a bot of stuff behind. One thing was a really good quality kitchen swing top bin. Lovely I thought, then a few weeks ago, as the weather here warmed up. wondered what the funny smell was. They obviously hadn’t used a bag in the bin previously and right down at the bottom all sorts of sticky scraps were festering in the nooks and crannies. Luckily I was able to give it a good clean out with my steamer and it’s all clean and sweet smelling now. I’m also going to try your bicarb of soda trick too. thanks. Oh. I agree!! I am especially careful every fall, as that is when the mice seem to consider a visit at our house. Thanks for linking up at Tuesday Talk this week! Thanks so much for linking up this week at Merry Monday! Great advice, great post! We end up buying a new trashcan before the end up getting too bad! Shared via twitter! Have a great week! I hate the thought of any nasties in my home, especially flies. Bin bag out into rubbish bin and hands thoroughly washed afterwards. I am a bit OCD on hand washing after touching bins, and make sure the rest of the family follow suit. LOL I am just a bit OCD with a lot of things!